Editor’s Note: Robert from Yumondo was kind enough to let Rev2 readers have a peak at Yumondo while it’s still in the private invite-only stage. To signup, head over to this page and use the code “rev2“. Yumondo, which launched back in May in private beta testing phase, recently came under our radar. Yumondo is a unique social network which builds on the concept of ‘urban stylesharing,’ where the idea is to build a local community where each member can build and share their sense of urban style. 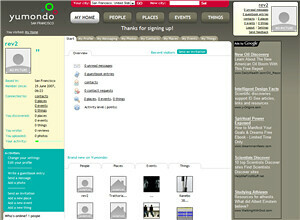 Unlike other social networks and community sites, Yumondo focuses on the ‘urban’ aspect of the local community. Some of the activities that can be done on Yumondo include finding things to do in your city, reviewing and rating restaurants and bars you’ve visited, and keeping in touch with the latest upcoming events — of course, making friends and getting your existing ones to use it along the way. 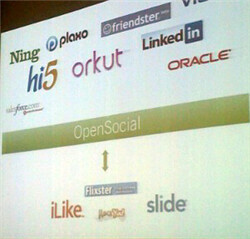 Yumondo is an interesting concept and way to think of networking from the bottom-up. Having tested the service within the San Francisco community, I have to admit — I can’t seem to think about it in any way other than a ‘cool service which I’ll probably never use again.’ It seems a bit too clogged up with its features and abilities, and I have to admit the idea isn’t the easiest to get at first. While I don’t think it has a chance of getting to critical mass any time soon, it could turn to to be popular within specific communities and cities. Will VideoEgg be the Audioblog for Video?